Axminster Tools & Machinery has established itself as a market leader in the mail order tools and machinery industry, offering service to many thousands of customers ranging from trade professionals to amateur DIY and hobby enthusiasts. Axminster sources products from all over the world as well as supporting a number of specialist UK companies. 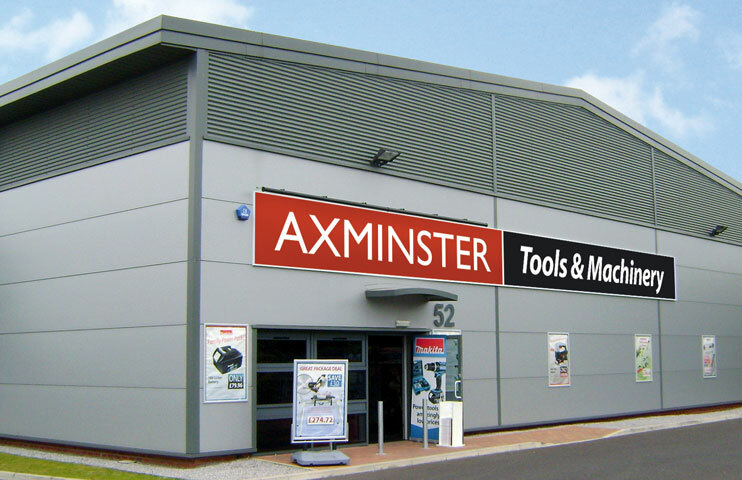 With over 17,000 products, Axminster has long been recognised as holding the most extensive range of tools, machinery and accessories in the UK. The business has experienced significant growth and expansion in recent years. Alan Styles, newly appointed MD, and Andrew Parkhouse, Operations Director, both joined the Digital Leadership programme at Cosmic last September, with the aim of developing their understanding and knowledge of digital technologies to further develop strategic plans for the business over the years ahead. Alan already holds an MBA qualification and is well experienced in executive level learning and development. Andrew has experienced over 25 years at Board level in the business with a remit for digital and IT developments. Both Alan and Andrew hold good levels of understanding of digital technologies and had already embraced it personally and within their teams. They were both keen to explore how to innovate more in the coming years with the benefit of a revised digital mindset and vision. Being in the Digital Leadership programme resulted in learning new perspectives and drivers for the improvements needed at Axminster Tools. The focus on data, its capture, management, privacy and security as a vital component of future business was the subject for Alan and Andrew’s project on the programme. Embracing the project approach meant that the business benefited from mentoring support as well as the learning sessions – providing opportunities for team sessions focussed on future plans for data, security, privacy and systems integration. This resulted in a new project plan embraced by the wider executive team to provide firm competitive advantage and commercial success. We now consider technology as a solution in many more scenarios. Trello is now used in the business in a number of different departments. It's not just used for project planning, but is also being used for marketing plans and new product development. Some departments were being a little resistant initially but are now seeing the huge benefits it brings.